Fraud is a common problem in many different industries, but it’s a particularly big problem within the home buying and selling process since there are so many people and so much money involved in the process. Mortgage fraud may include things like property flipping scams or occupancy scams. Knowing how to recognize a mortgage scam is an important step in keeping yourself safe financially when buying a home. If you take the proper precautions, you can keep yourself safe from these scams and make your entire buying process smoother. Here’s a quick overview of everything you need to know about mortgage fraud, including what it is, what forms it comes in and how you can avoid it. There are a lot of motivators for committing mortgage fraud. In a general sense, there are two primary reasons that people commit mortgage fraud, and they both have very different motivations. People tend to commit mortgage fraud for housing or profit. As far as committing fraud for housing goes, that’s generally something that’s done by a borrower with the help of loan officers or some other relevant personnel. Borrowers will use false information to obtain a mortgage they otherwise wouldn’t have been able to obtain. While this does get them free housing for a period of time, it’s only a matter of time before they are unable to pay the mortgage or the fraud is uncovered. This type of fraud is also sometimes committed by investors who want to rent a house out for profit. Fraud for profit is committed by the very industry professionals you’re supposed to trust when taking out a mortgage. There are a lot of different people who can potentially be involved in this type of fraud, including builders, real estate agents, loan officers, mortgage brokers, appraisers, property inspectors and more. Essentially, anybody who has a hand in the home buying and selling process can play a hand in committing mortgage fraud for profit. While it may seem strange that this degree of fraud is being committed by professionals within the industry, it’s generally done for a larger sales commission or as a way of expanding investments. One of the biggest things you can do to keep yourself safe from mortgage fraud is simply being aware of some of the common types of mortgage fraud. 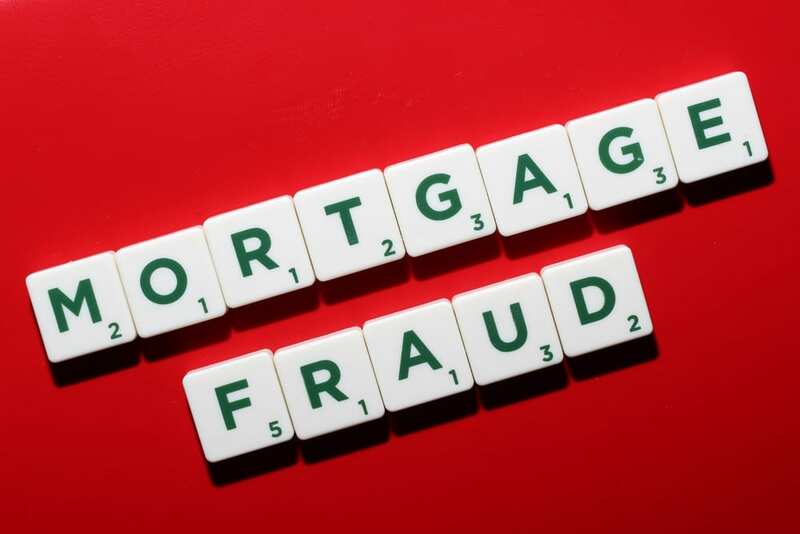 There are a few different types of mortgage fraud which are exceedingly common, including property flipping, straw buyer schemes and occupancy scams. Property flipping may seem like an odd type of mortgage scam considering it’s perfectly legal to flip properties, but the difference is in how you actually go about flipping a property. If you purchase a home, fix it up and sell it for a profit, that’s completely fine. However, if you buy a property for a price below market value then get the help of an appraiser to resell the home at a much higher value, that’s considered mortgage fraud. This type of mortgage fraud is largely based on the relationship between the appraiser and the re-seller. If the re-seller is using the appraiser because he or she knows they will value the home above its actual price, that’s mortgage fraud. Occupancy fraud happens when home investors use false information to be in good standing with the bank, which gets them lower out-of-pocket costs and overall loan rates. This type of fraud is usually committed by the investor claiming that the home will be owner-occupied when it will actually be vacant or occupied by another buyer. The straw buyer scheme, on the other hand, is when an investor allows somebody who likely wouldn’t qualify for a mortgage—or at the very least wouldn’t get the optimal rates—to buy a home using their identity, income and credit. This is generally done as part of a big-picture fraud scheme that involves more than just simple mortgage fraud. Overall, one of the most common types of mortgage fraud remains to be identity theft and falsification of information. Buyers will use information from an unknowing party to qualify for a mortgage that they otherwise may not have qualified. This includes the guilty party getting a hold of some of the most sensitive information you have available, including things like your Social Security numbers, addresses, pay stubs, tax returns, W2s and more. Obviously, this can lead to problems beyond mortgage fraud. As we mentioned previously, the best thing you can do for yourself in terms of recognizing and avoiding mortgage scams is to educate yourself so you know what to watch out for. Mortgage fraud generally comes in a few different forms, so as long as you understand the potential schemes you’ll know what to look out for. In general, though, you can do your best to avoid mortgage fraud by making sure you deal with qualified professionals. If you feel like something’s off about one of the parties involved in the purchase or sale of a home, investigate further. It’s always better to be safe than sorry. Fortunately, there are government agencies designed to monitor all of the different parties involved in real estate transactions to reduce the risk of mortgage fraud. This includes regular audits of mortgage companies. As long as you proceed with caution and make sure to trust your transaction to qualified professionals, you can avoid mortgage scams and safely buy or sell a home.